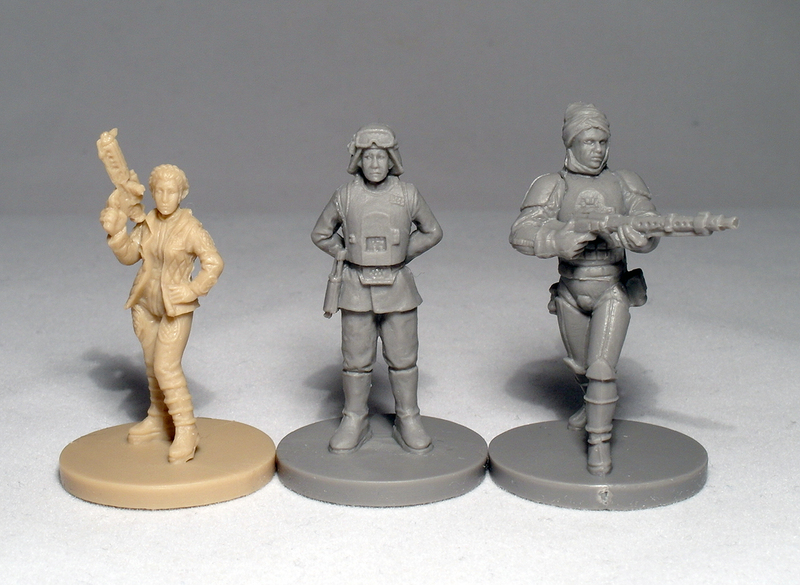 Just a quick post from me today, showcasing the latest Imperial Assault figures to cross my desk. 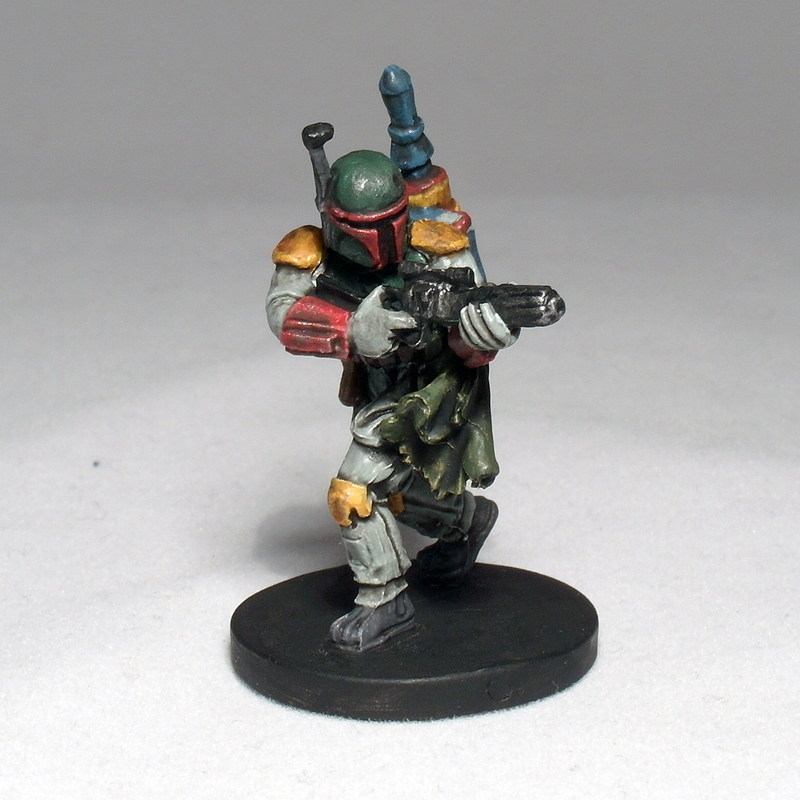 I worked on the models from The Bespin Gambit and Twin Shadows in a bit of a disorganised fashion, chopping between the models from each set as I saw fit – I’m not entirely sure why, if I’m honest! Still, I’ve ploughed through these as quickly as possible to get them all at least basecoated and shaded so they look decent on the table. I’m looking forward in the coming weeks to revisiting every model I’ve done so far to bring them all up to a finished standard though. 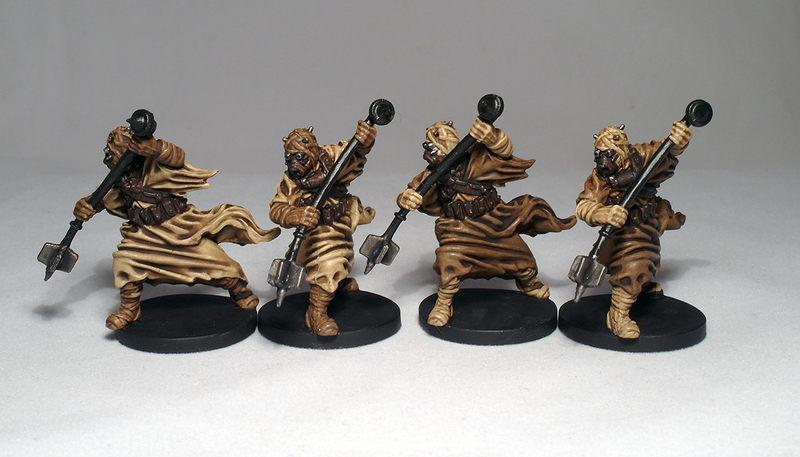 Nothing too complicated here – Steel Legion Drab on some parts, Tamiya Deck Tan (I think; It could be Buff or Desert Yellow, I don’t have the pot to hand) washed with Agrax Earthshade – pretty simple! 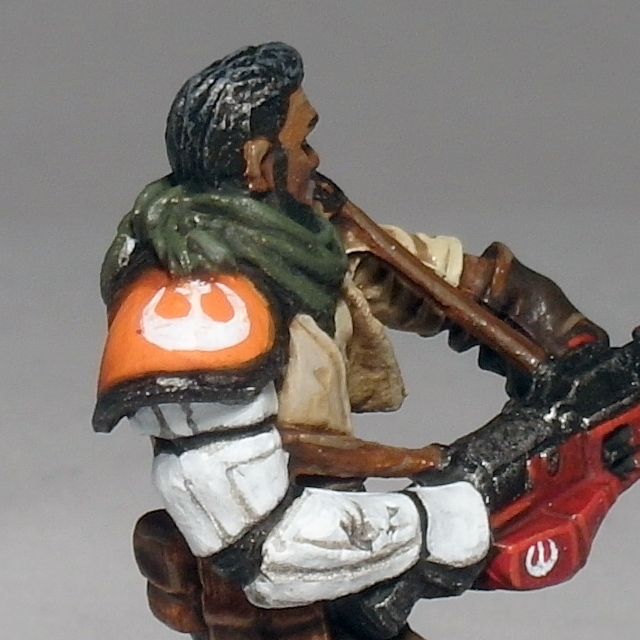 I picked out a few areas of detail in black or Leadbelcher, too. To differentiate the two groups, I simply reversed the colours. 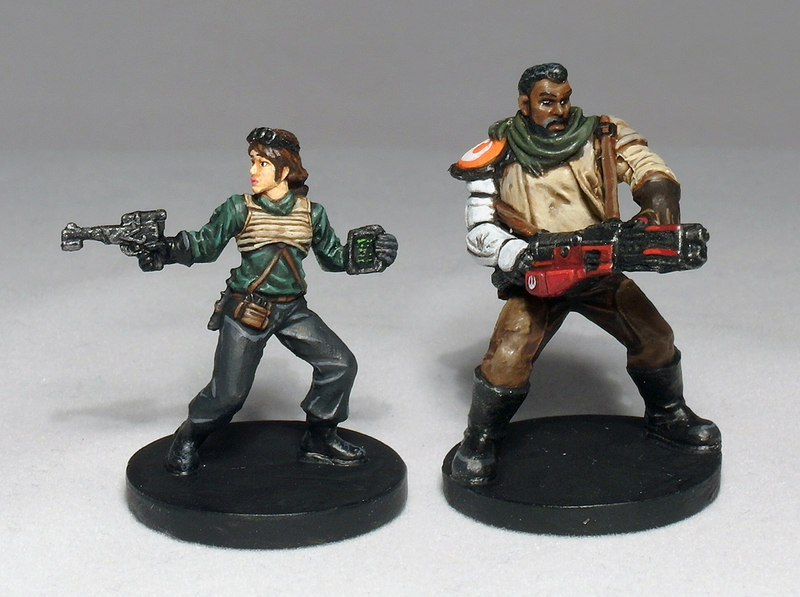 Next was the remainder of my Bespin Gambit set, the Ugnaughts and Wing Guard. 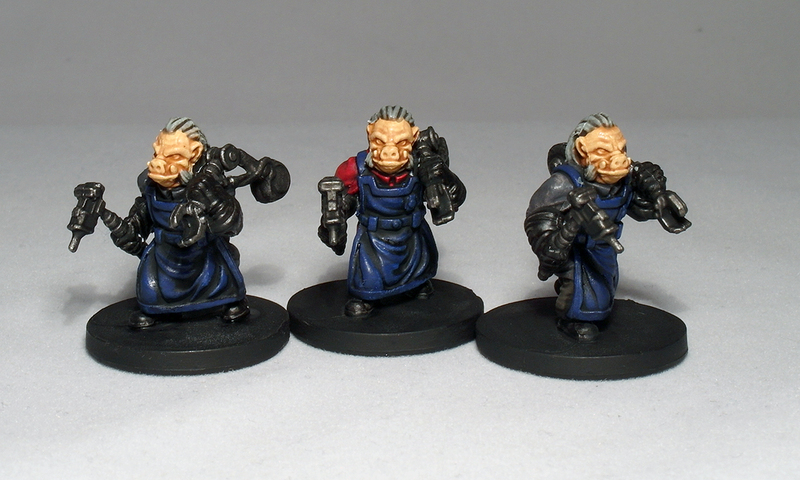 These guys still have a fair way to go to be considered ‘complete’, such as painting their eyes and teeth in the case of the Ugnaughts, but like the Tuskens, they’re game-ready for now. 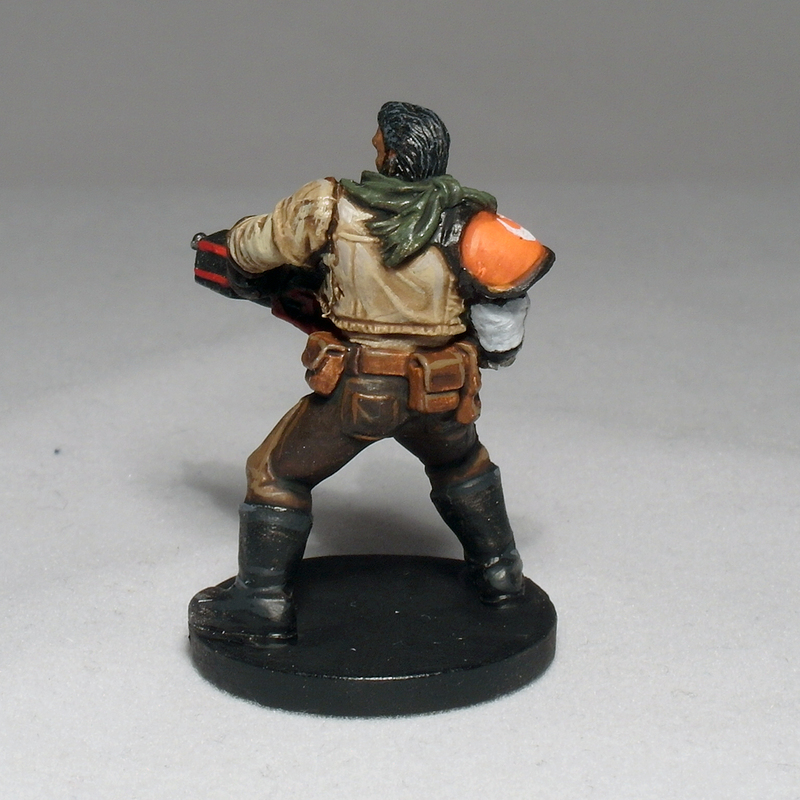 For the Ugnaughts, I chose a simple grey for the overalls, while the third model used red, so that the two regular/elite definition was easy to spot. The Wing Guard were a little harder to work out – on the one hand I wanted to stay true to the official colours (with red cuffs), however, this was proving to be a pain to tell the two groups apart, and so I went with yellow on the cuffs of the second group. It still feels in-keeping with their colours, in my opinion. 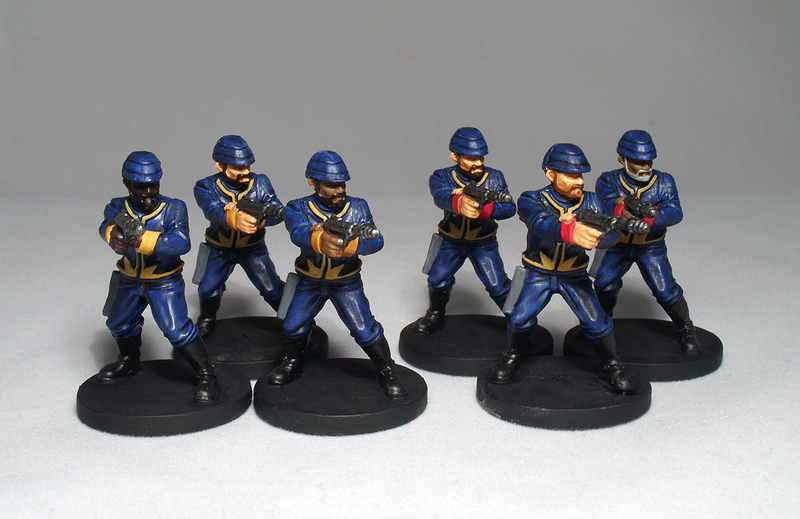 One thing that annoyed me with these guys is the sculpted on beards – I’d have preferred them all to be clean shaven to allow me to decide whether to paint a beard on or not – as it stands now, they look like a hipster dance troupe with their matching beards! 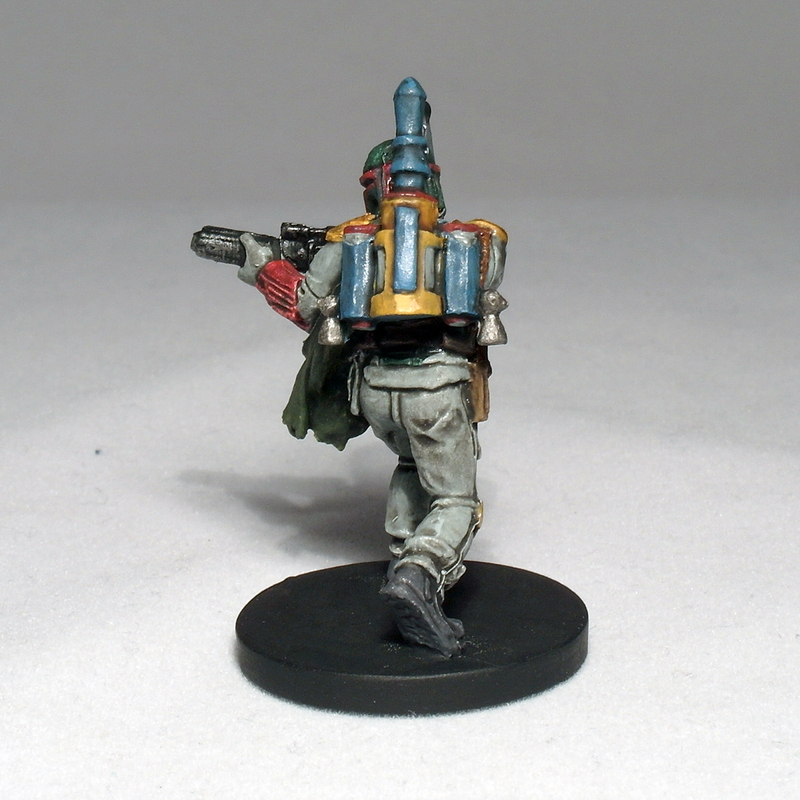 I picked Boba Fett next – he’s still work-in-progress though, as I’ve yet to finish his backpack, and I have a fair bit more highlighting and tidying up to do on him. 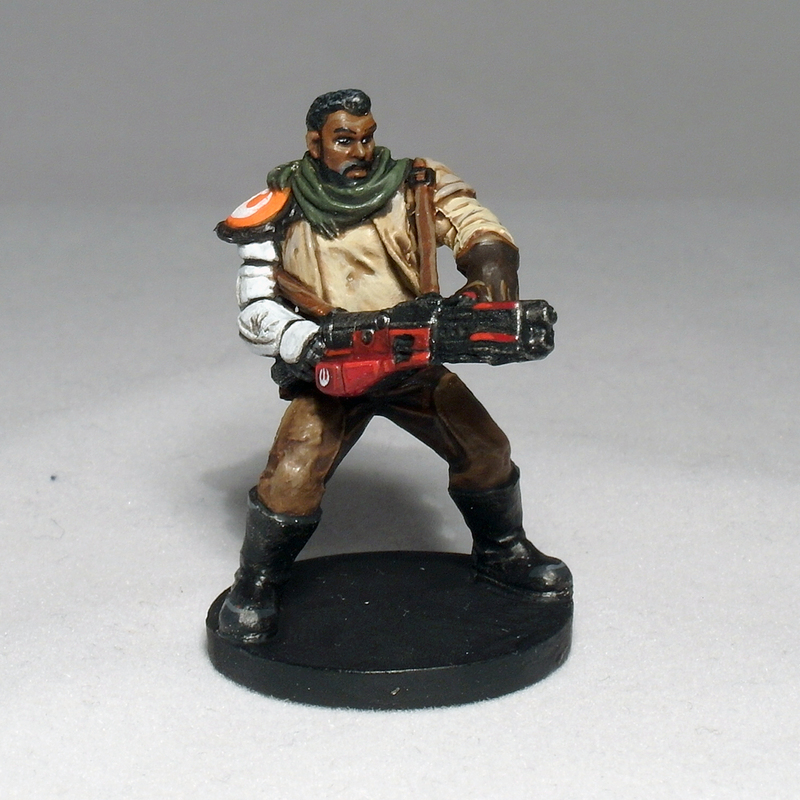 With named villains I at least want to get them fully complete, like the heroes – I figure these models are focal points and are on the board a lot longer than the generic enemies, so they deserve a higher standard of paint job. 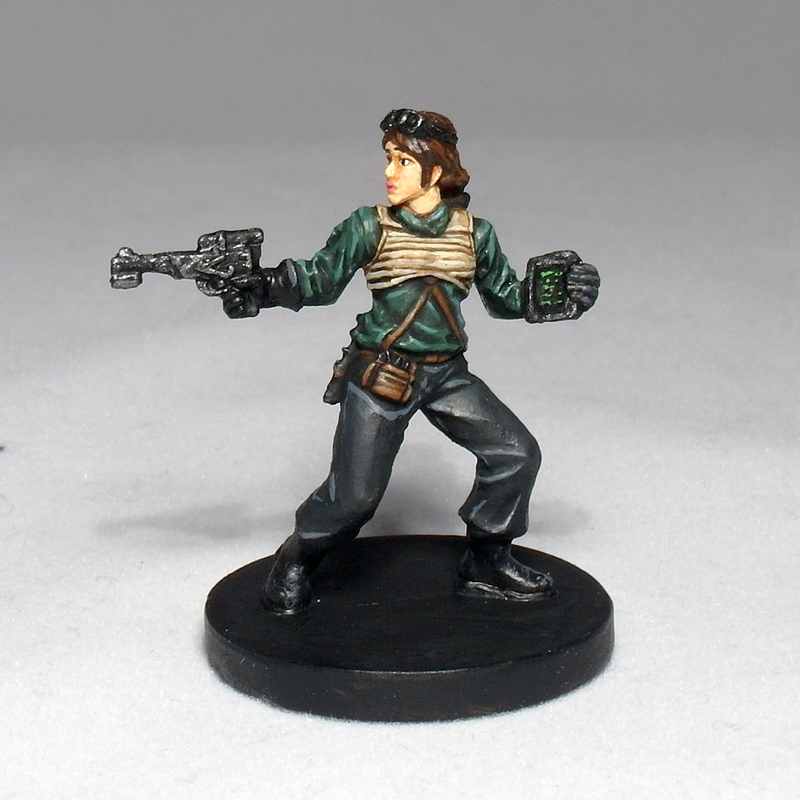 Speaking of heroes, the final two needing paint jobs are also complete; Saska Teft and Biv Bohdrik! 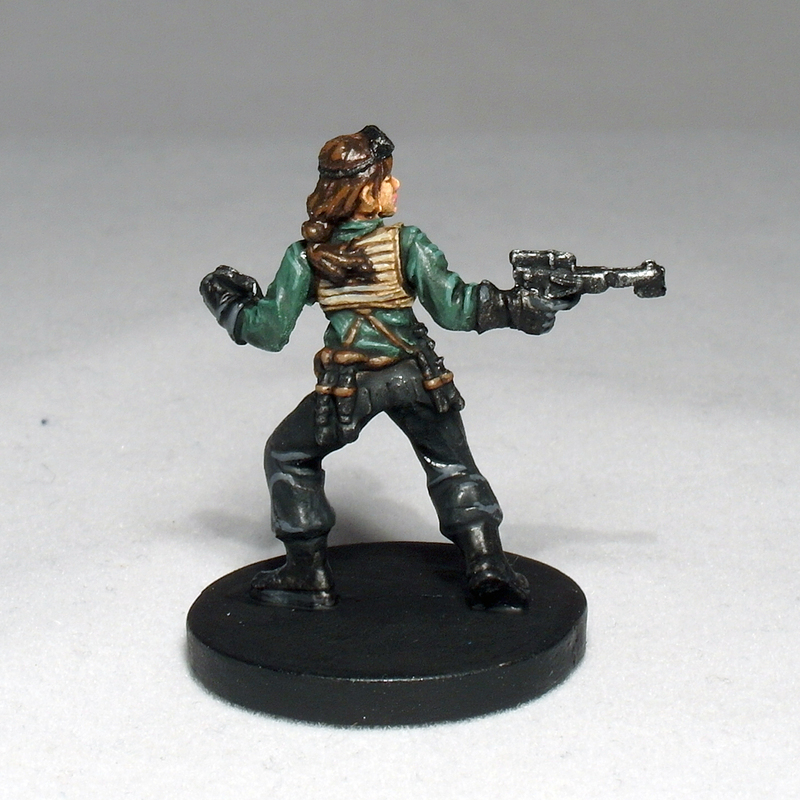 Saska was fairly simple to do, being only 3 main colours. I added a little bit of detail to her datapad, as well as giving her lips a bit of a pink-tint as her face felt a little plain without it.